This month, we focussed on how to hack your innovation team for greater success in the FMCG category. 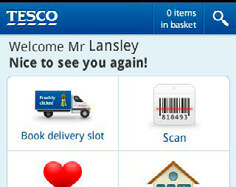 Honey’s guest speaker, Nick Lansley, is one of the founders of UK retailer Tesco’s online service. He formed Tesco’s first innovation team in 2000, developed the ‘Tesco Access’ site for blind customers, the first mobile phone app for grocery shopping in 2003 and the first Tesco iPhone app in 2009. Nick brings pragmatic innovation techniques and ways of working to areas of business that want to start their own innovation teams, or who are struggling to get traction with innovation projects. Your whole innovation process must take no longer than 12 weeks, to keep it grounded, with minimal expense. Some innovations look remarkably simple. But the quick simple things are no less innovative than the big complicated solutions. We did something similar with Unilever. We focused on solving smaller problems that delivered quick results, while also looking at a three to five-year plan. If we didn’t fix these quick pinch points, we wouldn’t get to work on the bigger picture. You can run innovation efficiently. It doesn’t have to cost millions, but you have to weigh up the balance of cost vs value. The worst combination is a small brand with loads of money, because they make bad decisions, like spending £120k on PR without setting up their distribution. In my opinion, a small company with no money is better. At least they can be agile. “It’s not ‘do you love it?’ but ‘would you use it?’ One of the big things in innovation is knowing when to say no. There was once a situation where £100m was set aside for a new innovation team. They went out and bought Macs and expensive gear, but ended up having fun in an open plan office rather than getting stuck in with colleagues. I helped them get back on track with hackathons and opportunities for suppliers to come in and display their latest technology. Innovation needs people from different backgrounds – from product designers, to store designers and departments that will benefit from your solution. An innovation team shouldn’t actually innovate. They should facilitate the rest of the business in changing their behaviour. Some of my best innovation sessions have been with people from the factory, finance, or procurement. They have great curiosity and loads of ideas. There’s a Grace Hopper quote: ‘It’s better to ask for forgiveness than for permission’. I would tell the board that this is what I advise people, as long as they can stand in front of you and explain passionately why they did it. One of the downsides of traditional customer research is finding ways to apply the insights to the next wave of consumers. We have so many touchpoints now that brands need to ask if they are using them properly. Online has a role to play, but so does traditional advertising. What’s brand building and what is activation? As online has evolved, marketing has become less clear. Many brands are trying to make every touchpoint do everything, but that’s not necessarily their role. Tesco used a cardboard cut-out rather than using complicated technology that pings their phones and alerts them as they walk past. The irony is not lost on me. It’s a wonderful example of how technology cannot exist entirely by itself in a vacuum that isn’t in the real world. Mobile presents a new challenge to packaging design as customers avoid reading, visually scan images and ignore everything else. You can put all sorts of claims on the front of the pack, but if you are doing the right thing, then it should also come out in other areas of the brand. It’s not always about front of pack. Sometimes we oversimplify and hide positive information from the public. For example, Twiglets are healthier than you might think because they are high in fibre and wholegrain. But, as a pub snack, we wouldn’t communicate this on the pack because you have to tailor the information to the audience. These are uncluttered packs that you can understand at a single glance. I’m mindful of clients who say that you always need to add more information. I wonder whether there’s a lesson to be learnt by not having so much information on the front of pack because you can communicate that information faster.